Welcome to part 2 of my blogging series. 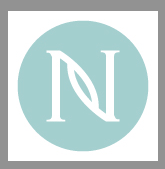 I am blogging about designing a "pretend" beach bungalow that we have purchased, and I would get to design. One day we hope to purchase a little piece of paradise by the beach, but until then, a girl can dream and design. :) Part one to the series can be found here. 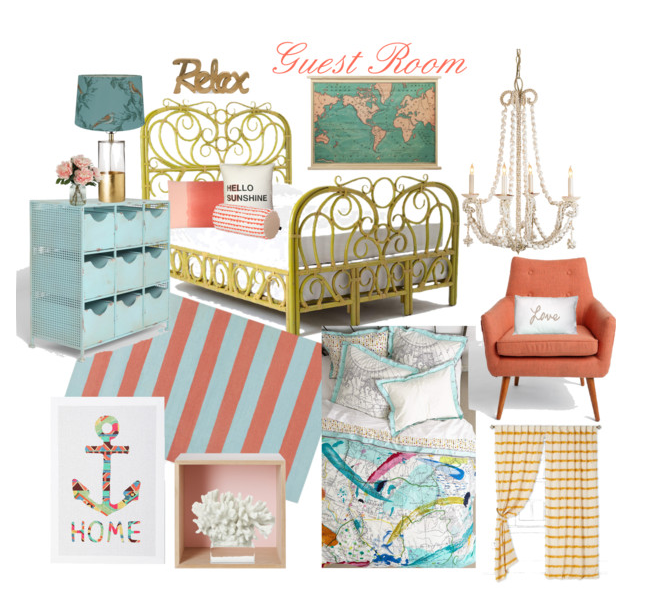 So first I designed the family room, now I am designing one of the guest rooms. I want the entire vibe of this house to be fresh, bright, cheery, a little vintage, collected, and a little modern. I would paint the walls in this room white. Ideally I would love the entire room to be wood paneled, and then painted a glossy white. Here are some white ideas that I think would work. Let's start with the fabulous bed. It really is the fun, sunny centerpiece of the room. 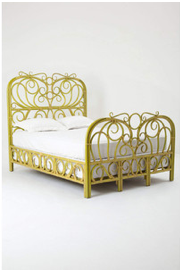 This bed can be found at Anthropologie Honestly if you go thrifting or to flea markets, I bet you can find a similar bed, and then paint it. 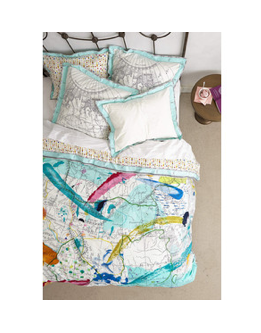 The bedding is from Anthropologie, and I love that it has a map on it, with renderings of the ocean. You could also keep the bedding neutral, and add lots of pops of color with pillows and a throw. I love the use of various pillows throughout the space. 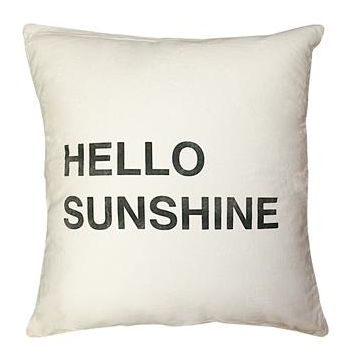 I thought this pillow with "Hello Sunshine" was so fun for a guest room near the beach. These pillows would be really easy to make. All you would need to do is sew a pillow, I would use a light weight canvas material, and stencil on the pillow using fabric paint. You can make your own saying and design. 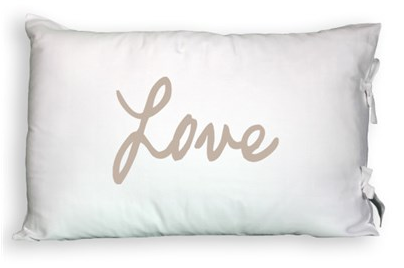 This "Love" pillow is from Layla Grace I added it to the space because the word "Love" is my one little word for 2014, and it is also nice for your guest to feel loved. 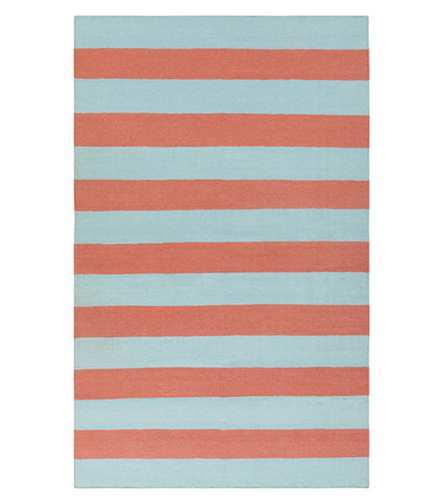 This rug is so fun and bright, and I adore the combo of coral and aqua. You can find the rug at Wayfair. 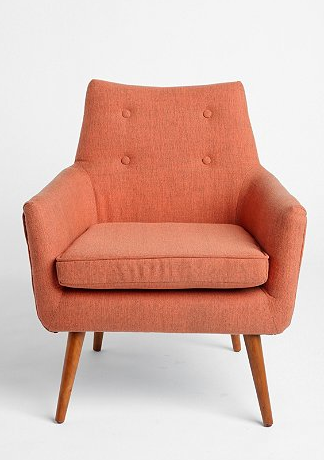 The coral chair is from Urban Outfitters. This chair also comes in a couple of other colors. It looks vintage to me. I think it is nice to have a comfy chair for your guest to sit in, so they can relax and read a good book. 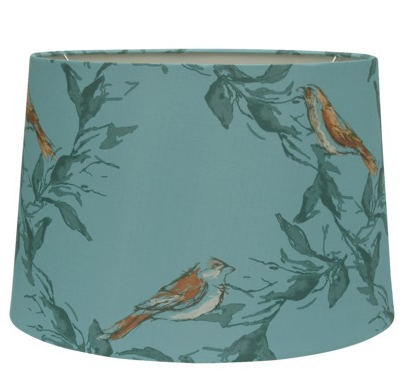 The lamp and lamp shade are both sold separately and can be found at Target. I love the way they work together, and that Target gives you the option of buying pieces separate. The drapes are so fun and whimsical. I love the pom pom detail on them. You can find them at Anthropologie. 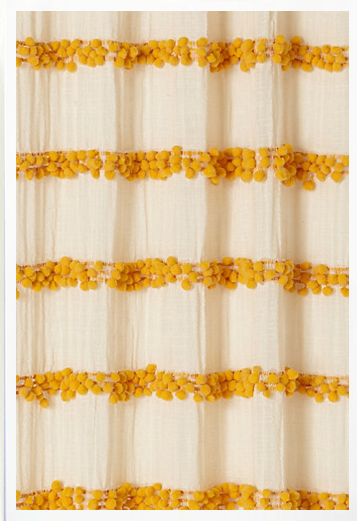 If you are really ambitious you can make them yourself, by sewing rows of pom pom trim on to some cotton white drapes. 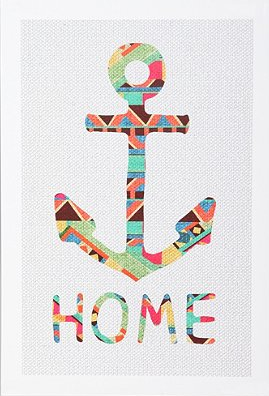 The anchor artwork is from Urban Outfitters, again, you don't want your room to have too much of a theme, but it is nice to incorporate some beach and nautical elements. The map is vintage. 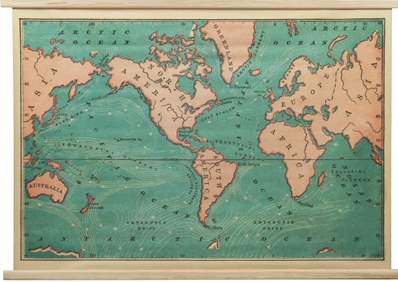 I think it would be lovely to have an old vintage map hanging on the wall. 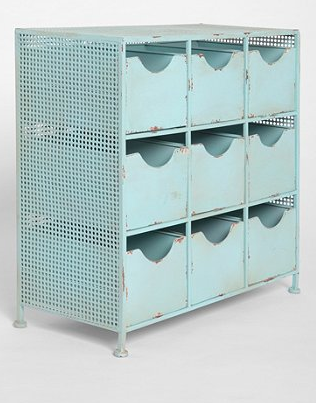 I think I will be looking for one this spring and summer when I go antiquing for our current guest room that I am working on. This map is swoon worthy. 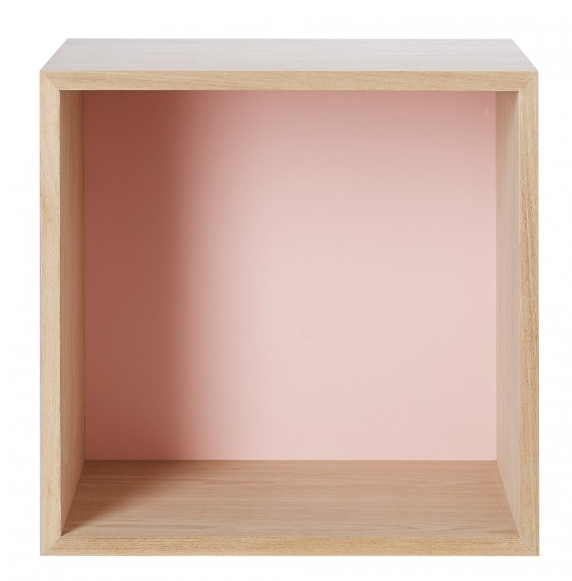 I think I would have my hubby help me build this little side table box. I love how just the inside of it is painted a pale pinkish coral. Seems like it would be pretty easy to build your own version of it. 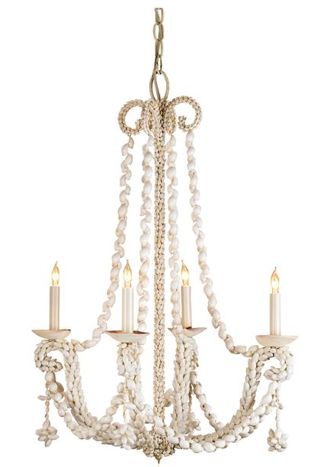 I styled this one with a pretty white piece of coral. There you have it, my lovely, little, quaint guest room. 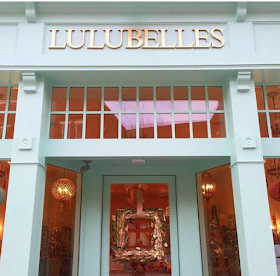 I would probably have to stay a night in there, just because I love it so much. Thanks for playing along for part 2 in my little blog series. 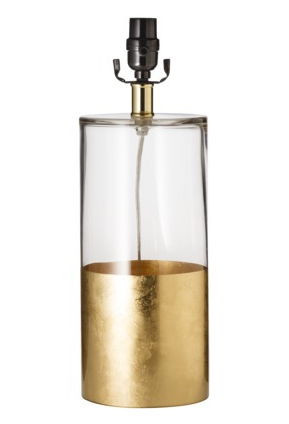 I hope you feel inspired to bring some of these elements into your own home. 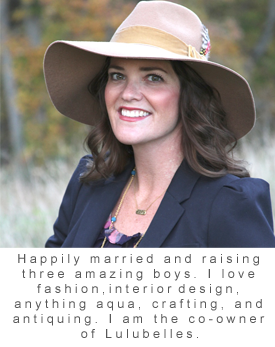 I'm thinking I have a few new projects for my hubby to help with after writing this post. Maybe I'll make another chandelier, or some fun painted storage boxes for my boys. Check back again, because I will be blogging about other spaces in our "pretend" beach bungalow.